I recently took this book out of the library in my ongoing search for the perfect bap recipe. I have a real hunger for a connection with my ancestral roots, so a whole book of traditional Scottish recipes really appealed to me. I had a hard time finding anything to eat when I was is Scotland 10 years ago (being a vegetarian and pregnant at the time didn’t help), but the author does a good job of going back to traditional Scotch fare, focusing on what a typical family would have eaten before the advent of the overly processed, fatty food (deep fried Snickers anyone?) that Scots are so famous for now. The pages are packed with hearty, comforting meals, many of which I hope to try: Cranachan (a mixture of toasted oats, fruit, cream and honey – similar to muesli but with a hit of whisky! ), several different kinds of shortbread, as well as oat cakes. The names for things are a riot: Champit tatties, Forfar bridies, bashed neeps, and cabbie claw, just to name a few. The bap recipe seems like a good one. They only came out of the oven an hour ago and most of them have already been scarfed down – that seems like rave reviews to me. I was actually able to make myself squash them a bit before I put them into the oven this time (I couldn’t bring myself to do it when I last made them), giving them their traditional flattish appearance, and they turned out just right. According to the author, the usual way of eating these soft, squishy breakfast rolls is to slip an egg and some bacon into one that’s been halved and buttered, but they’re also delectable with honey and jam (at any time of day). if you haven’t checked out my recipe blog you should! I have lots of Scandinavian recipes (not all Norwegian but a fair amount are). I’m working on wooing my ‘sister’ to email me some of her favorite recipes, right now we are hoping for an inside view of how her and her daughters celebrate the Yuletide holidays. Sounds like a good workin’ bap recipe. I think I will mosy on over the library and find this book. I agree that the Scots recipes in my family are rather fattenning but the names are a hoot!! Solo Adan – ¡Hola, y gracias! Steph – I will definitely check out your recipe blog. I’ve made lefse before, but I haven’t made a lot of other Norwegian dishes, (I just keep stealing recipes from a Swedish friend of mine). They sure know how to celebrate the holidays! Funkyewe – Let me know if you try some of the other recipes! 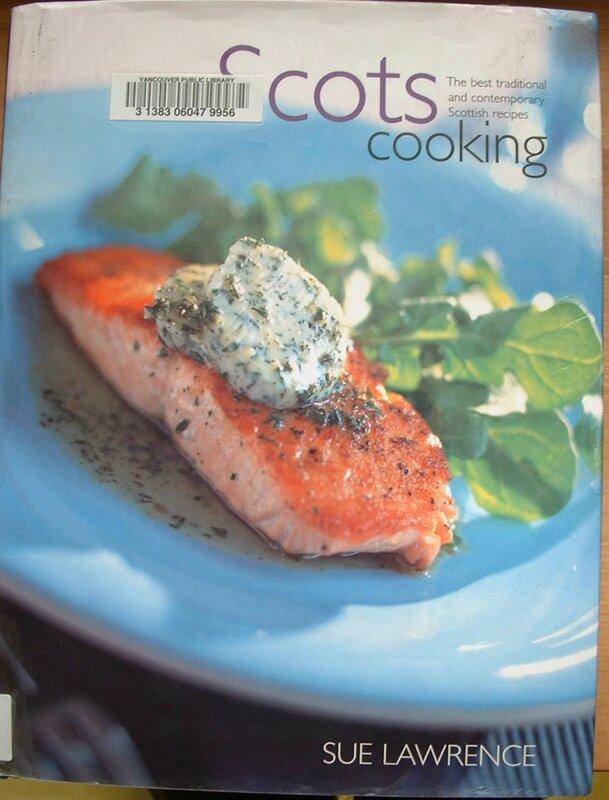 You might also like Nick Nairn’s ‘New Scottish Cooking’. I have a couple of Sue Lawrence’s books as I’m very fond of traditional Scottish fare. I’ve made baps from her recipe but make them bigger and flatter as baps are in the North of England where I lived until 1986. There, they are used for very filling sandwiches. I’m in London now, altho’ longing to go back up North or to Scotland. I’ve been reading your blog for a few months now and really like it. There is a Norwegian book… Let me find it. I think this is the one I was thinking of. Denzylle – Thank you for the book recommendation and the link! 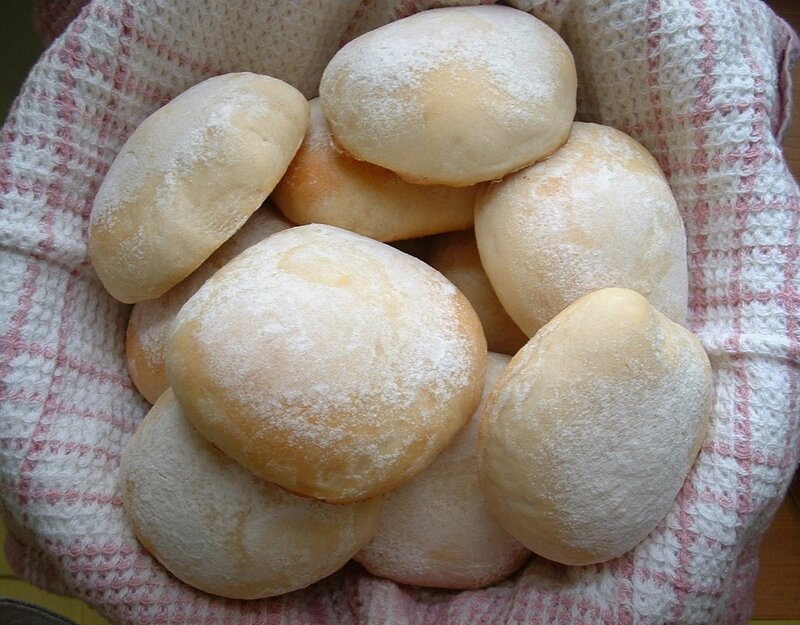 I was wondering about making the baps bigger and using them like ciabatta buns, I’m glad to hear you’ve done it successfully. Rabah Qail – Thanks for stopping by! If you’re looking for Norwegian recipes, I certainly have some favorites I could send you. Mmm…just thinking about it makes me hungry.